February 1940. San Angelo, Texas. 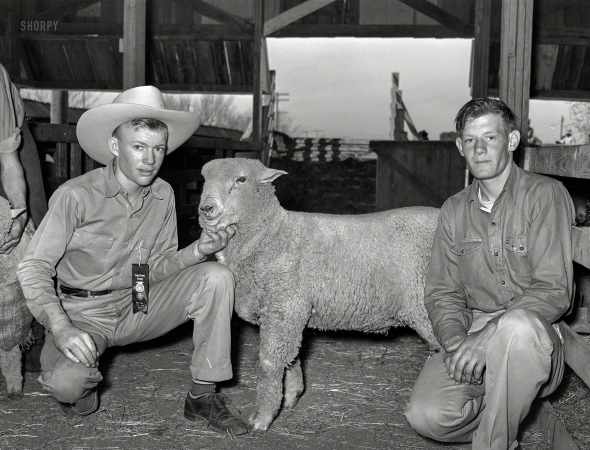 "4-H Club boys from Tom Green County showing sheep at the Fat Stock Show."